There’s nothing quite like a refreshing popsicle on a hot day. But you’d rather treat the little ones (and yourself!) to an icy snack without tons of sugar, neon food dye, and mystery ingredients. 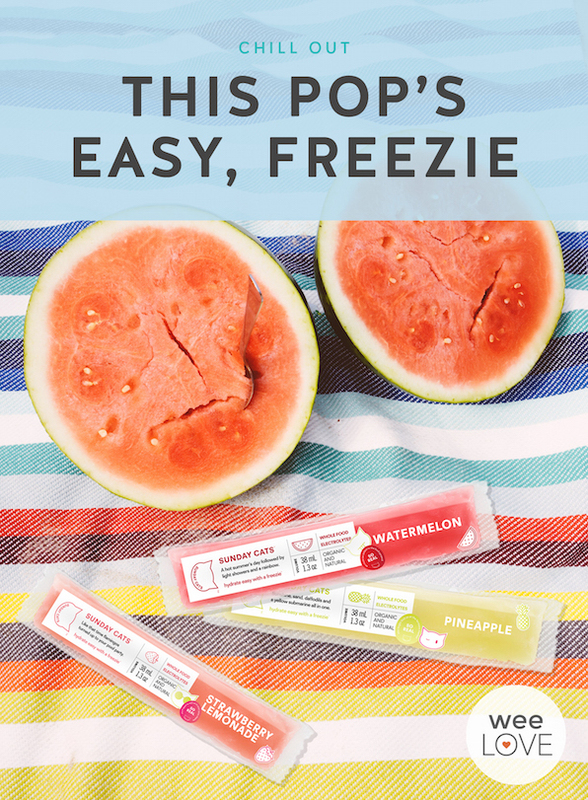 Good news: there’s a new organic, natural freezie on the scene… and we can’t get enough of them. Sunday Cats are made with real fruit juice—no artificial colors or preservatives. Aside from being delish and refreshing, they contain whole food electrolytes from coconut water and sea salt—a must for hydrating active kiddos, expecting mamas with morning sickness, or even tots with stomach bugs. 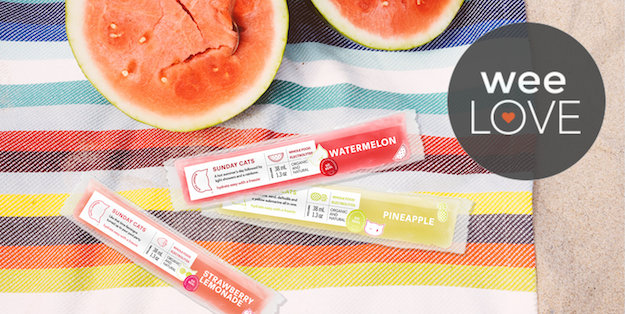 Each pack comes with watermelon, strawberry lemonade, and pineapple flavors (with more options in the works). Thanks to these tasty treats, you’ll have a family of cool cats this summer.